1. We would strictly check the material, size and color of sample step by step before we confirm the order. 1. Q: Are you a trading company or manufacturer9 A: We are a manufacturer with rich exporting experience. 2. Q: Can your products be customized9 A: Our products can be customized, including material, size, logo, color and so on. 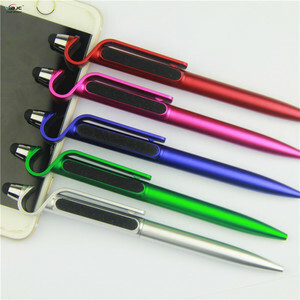 4 in 1 square ball pen + phone stand + stylus touch + screen cleaner. we are a company combined manufacture and sourcing which specializes in promotional pens, office collection and gift items. Our factory Establishedin 2000 year, Own manufacturing factory, printing factory, experienced andprofessional team. Promotion products sourcingand trading (Supply Chain Management) . T100 Color Any color are available,you just offer us the Panton No. For details, please kindly contact the sales persons. Please do only pay to the official account authorized by Jiangxin. 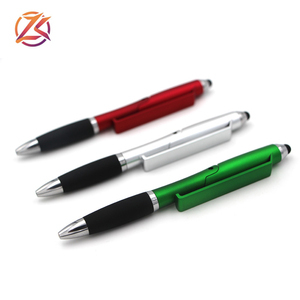 Promotional 4 in 1 pen multifunction ball pen + highlighter + led light + stylus. 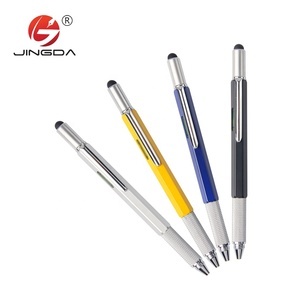 is a professional manufacturer of Metal pens , Plastic pens and all kinds of stationery . 4.Good Quality : We have strict quality control system . 6. Q: How to place an order9 For more inforation, please kindly contact us! Alibaba.com offers 1,062 4 in 1 stylus pen products. About 44% of these are ballpoint pens, 22% are stylus pens, and 6% are laser pointers. 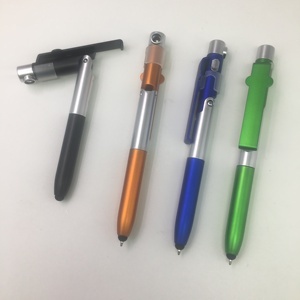 A wide variety of 4 in 1 stylus pen options are available to you, such as promotional pen, office & school pen, and mobile phone. You can also choose from metal, plastic, and bamboo. 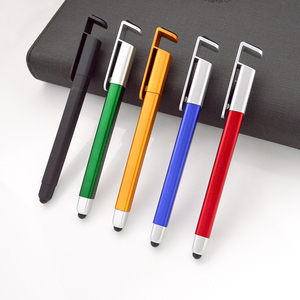 As well as from logo pen, banner pen, and multi-functional pen. And whether 4 in 1 stylus pen is yes, or no. 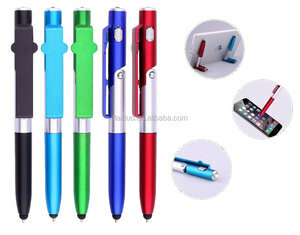 There are 1,062 4 in 1 stylus pen suppliers, mainly located in Asia. The top supplying country is China (Mainland), which supply 100% of 4 in 1 stylus pen respectively. 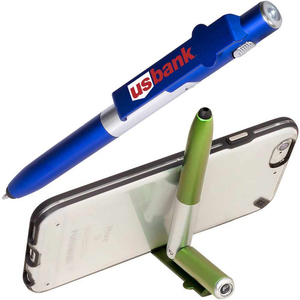  in 1 stylus pen products are most popular in North America, Western Europe, and Domestic Market. You can ensure product safety by selecting from certified suppliers, including 205 with Other, 115 with ISO9001, and 58 with ISO14001 certification.